Retailers up and down the country are organizing events for their shops, groups, communities and schools to celebrate National Knitting Week. 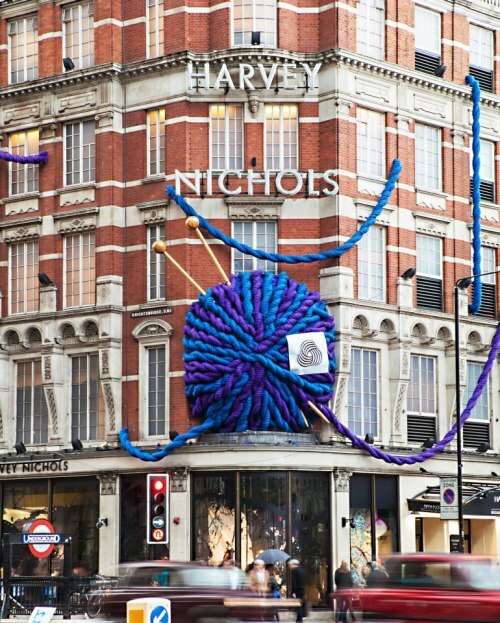 Check out this stunning installation by Harvey Nichols. What a beaut! Happy Birthday Stitch & Story! This year, for International Women’s Day, we asked CEO and Co-founder, Jennifer Lam, what empowered her to start Stitch & Story and the positive impact knitting has made on her team and crafters around the world. Hooked On Crochet? Wool Knitting Be Mine?